Gushing about her childhood friend and “Baaghi” co-star Tiger Shroff, actress Shraddha Kapoor says his sincerity towards work is unbelievable. The duo is sharing screen space for the first time in Sajid Nadiadwala’s “Baaghi: Rebels in Love”, directed by “Heropanti” helmer Sabbir Khan. “Tiger’s action and sincerity - he is just unbelievable. I have done a bit of action, so hope everybody likes that. But definitely he has taken it to a whole new level, we all have worked very hard,” Shraddha told reporters last evening on the sets of the film. The movie’s team interacted with the media on the occasion of Nadiadwala’s 50th birthday. The 26-year-old “ABCD 2” actress hopes that her on-screen chemistry with Tiger is loved by the audience. “We just hope that everybody loves our chemistry, everybody loves the scenes that we have done. Sabbir sir has really directed us in very beautiful ways, I hope we have done justice to that,” she said. While Shraddha is working for the first time with Sabbir, the director collaborated with 25-year-old Tiger for “Heropanti”, which was the debut of both the filmmaker and the actor. “I feel like I’m a part of the ‘Heropanti’ team in our film ‘Baaghi’. The only hope is that people like the film and also love the promo once it’s out,” Shraddha said. Tiger is known for his dancing skills and though Shraddha was all praise for him, she revealed that as children she used to beat him in dancing. “We know each other since childhood and were in the same school as well. When we were kids, our parents would throw birthday parties, and there would be dance competitions in it, so Tiger would also be there. I used to always win as a kid, but now he has taken off, and how,” she said. 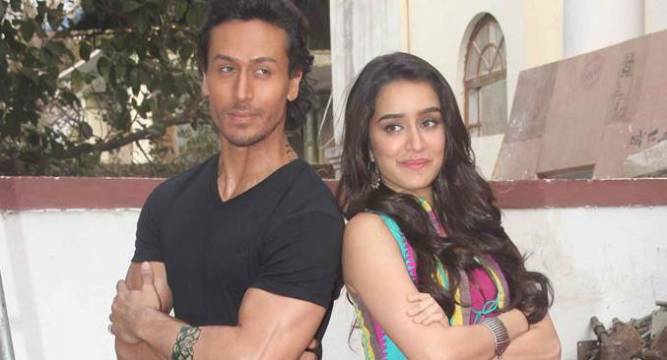 “Baaghi” hits theatres on April 29.